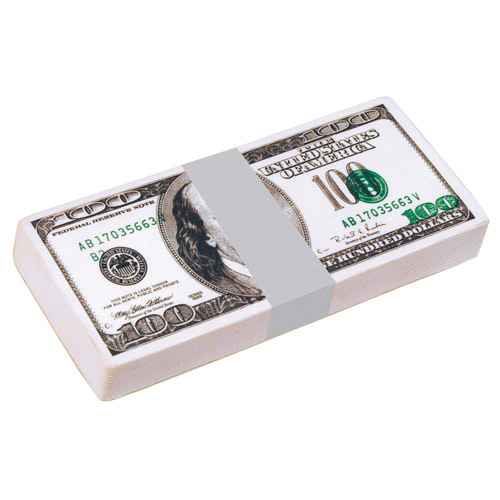 Fantastic for fund raisers this one hundred dollar bill stack shaped stress reliever can sport your logo or slogan for the next advertising campaign or big sale. Remind your clients how much money they'll save with you by giving this out at your next tradeshow. Products are not intended for use by children or pets. They may present a choking hazard to children under 3 years of age. Item Size : 4.25" X 1.75"